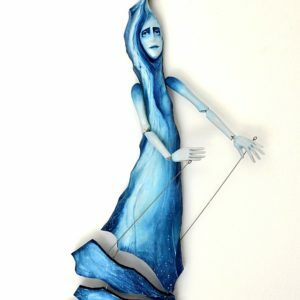 Do you want original art to to decorate your home? 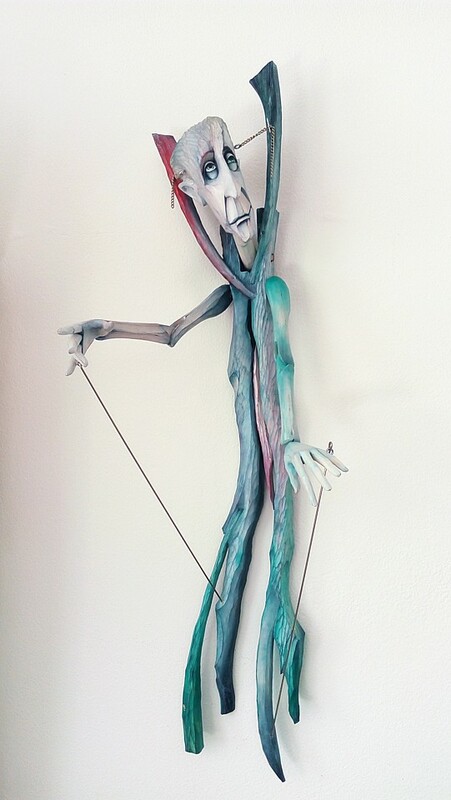 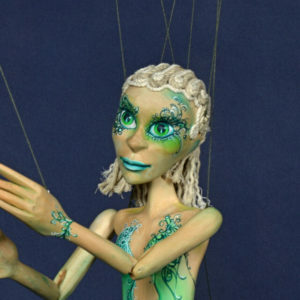 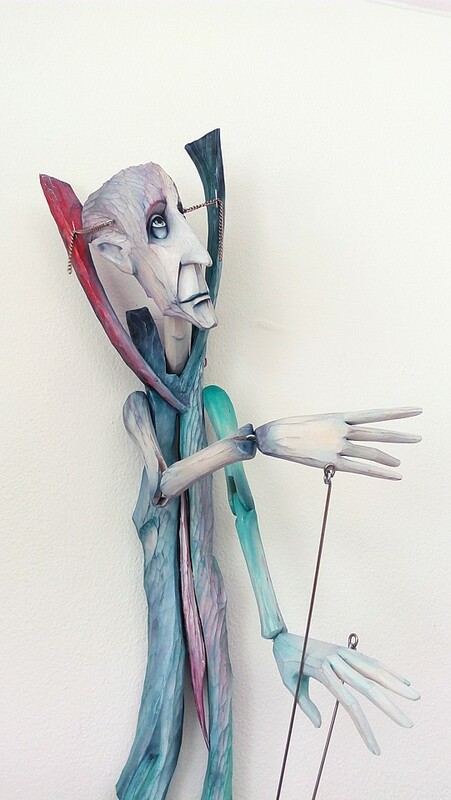 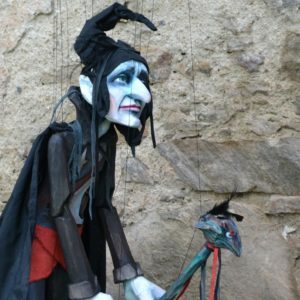 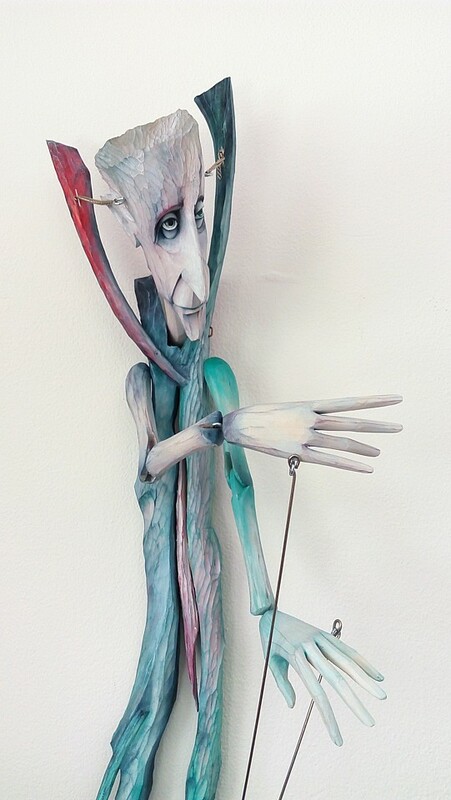 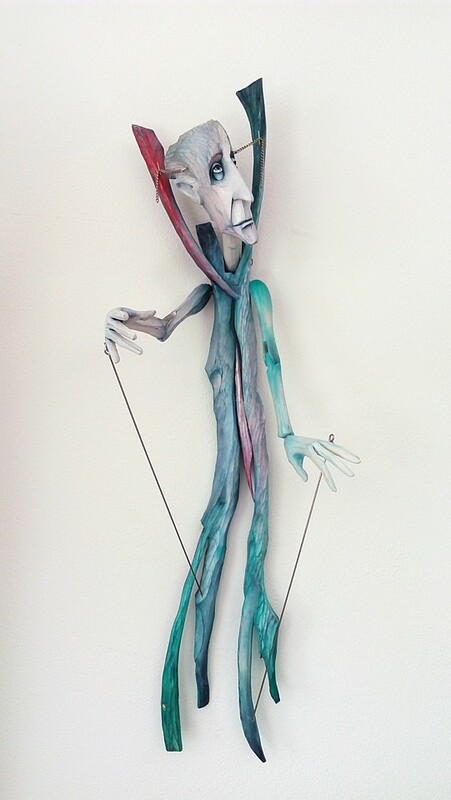 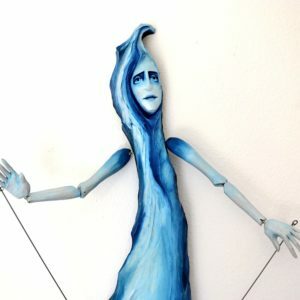 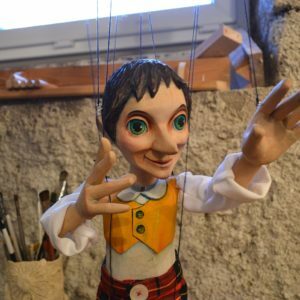 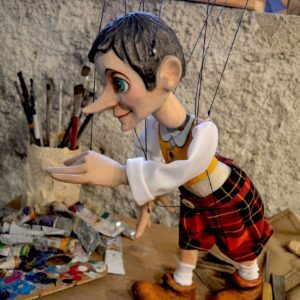 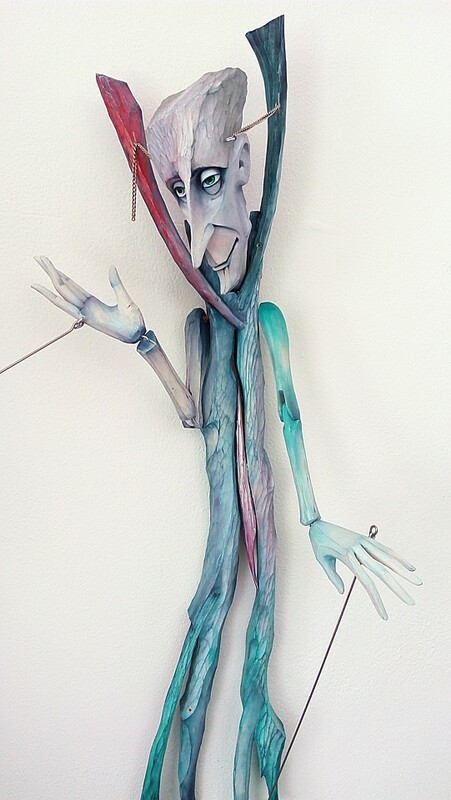 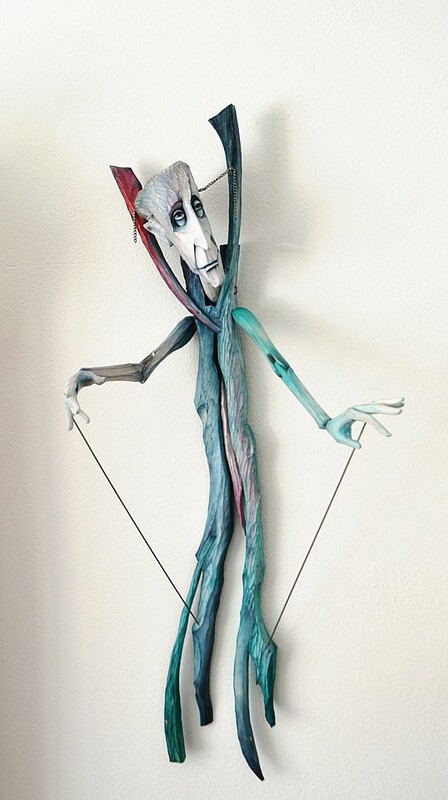 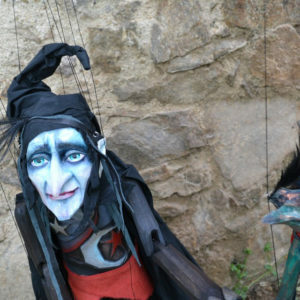 This wooden adjustable sculpture is both a marionette and sculpture. 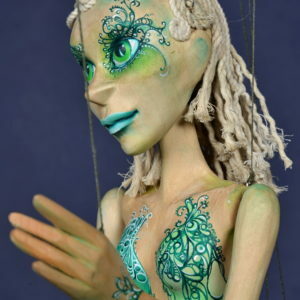 Its head and arms are adjustable. 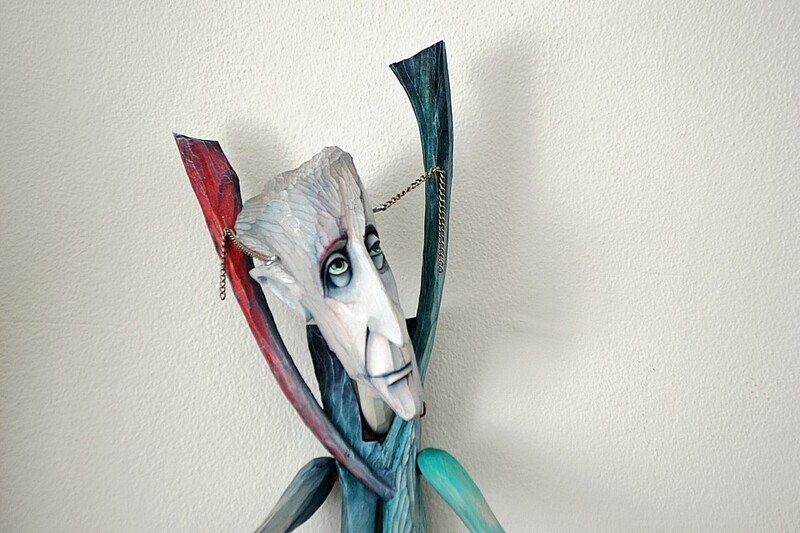 This figure is hand-carved from linden wood and hand-painted by oil colors. 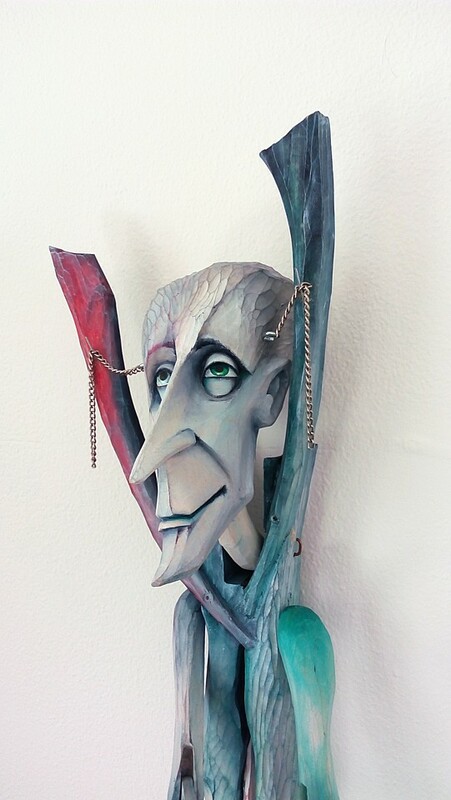 2 chains attached to the head control its movement.